Many Florida babies suffer serious birth injuries as a result of medical malpractice during delivery. Florida law provides a form of “no-fault” coverage for such injuries through the Neurological Injury Compensation Act (NICA). Under NICA, the parent of a child with birth injuries must first file an administrative claim for these no-fault benefits. Only if NICA does not apply can the parent then file a medical malpractice claim with the Florida courts. Understandably, Florida hospitals and medical providers like NICA because it limits their potential liability for birth defects. One hospital was so insistent on NICA protection that it recently challenged part of the law itself that excluded a particular claim. A Florida appeals court rejected the challenge, permitting the mother of the injured child to proceed with a potential civil lawsuit against the hospital. The child in this case was born prematurely at 39.5 weeks and “suffered neurological injuries from a lack of oxygen to her brain during the birthing process”. The child weighed 2,440 grams at delivery. This is legally important because NICA only covers injuries to the brain of a “live infant weighing at least 2,500 grams.” In cases of multiple births–i.e., twins or triplets–this threshold is lowered to 2,000 grams. The hospital argued the different birth-weight standards for single and multiple births was not just unfair, but unconstitutional. After the administrator of the NICA plan rejected the mother’s petition for no-fault benefits, the hospital intervened and claimed this “impermissible distinction” violated the “equal protection” guarantees of both the U.S. and Florida constitutions. The Florida First District Court of Appeal did not see it that way. In a December 5 opinion, the court said there was no equal protection violation for two reasons. First, single and multiple births were not “similar situations” under the equal protection clause. And second, even if they were, the Florida legislature acted within its discretion when it established the different birth-weight requirements. 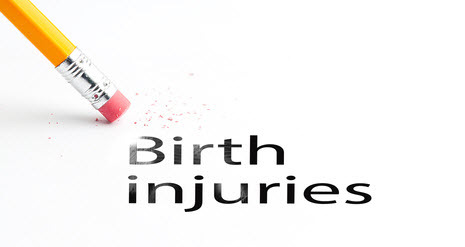 Has Your Child Suffered a Birth-Related Injury? As noted above, the court’s decision may actually benefit the child and her mother in the long run. Absent NICA coverage, the mother is now free to file a medical malpractice lawsuit that may yield greater compensation. If your child has suffered lifelong injuries due to a medical provider’s negligence, it is important you seek out advice on how to deal with Florida’s complex legal regime. Contact the Law Office of Paul B. Genet, P.A., today at (727) 538-8865 if you need to speak with an experienced Clearwater medical malpractice attorney right away.